The spinal column is one of the human body’s most important and most physically substantial components. Serving as the main piece of the central nervous system, the spinal column’s health is essential to both the physical and mental wellbeing of any patient. Spinal inflammation is caused by a wide range of ailments, but it is almost always a sign of more serious health concerns that should not be ignored. Chiropractic care is centered around the health of the spinal column and the central nervous system. If a patient is suffering from spinal inflammation, chiropractic care, in conjunction with other health care measures, is often the best way to treat and address the underlying cause of their symptoms. Working with a qualified chiropractic practitioner is the best way for a patient to address their spinal inflammation. Chiropractors who are familiar with Ideal Spine’s Chiropractic Biophysics (CBP) methodology are best suited to address a wide range of health concerns, including spinal inflammation. One of the most common and painful manifestations of spinal swelling is rheumatoid arthritis. This disease is most commonly associated with aging, though it can also occur in younger patients. Treating rheumatoid arthritis requires a careful balance of regular chiropractic adjustments to prevent further swelling and effectively manage any pain caused by inflammation. This disease is most commonly characterized as an intensive stiffness of the entire back. Symptoms typically begin to manifest themselves in patients between the ages of 15 and 45, and patients often experience lower back pain that becomes more intense at night. Mild fevers and general achiness can accompany ankylosing spondylitis. Anti-inflammatory medication is often prescribed for patients suffering from this ailment. Additionally, it is recommended that any patient who is experiencing ankylosing spondylitis symptoms seek chiropractic care as soon as possible. Physical therapy, anti-inflammatory drugs and regular chiropractic care are typically the best combination to treat and manage this chronic condition. An extremely serious condition known as acute transverse myelitis causes inflammation of the entire length of the spinal column, resulting in an effective cessation of all communication between the brain and the body’s nerves. Acute transverse myelitis is most commonly caused by a primary infection or condition, such as Lyme disease, lupus, or multiple sclerosis. Sudden back pain followed by extreme symptoms, such as paralysis, are common results of acute transverse myelitis. Because acute transverse myelitis is typically exhibited in patients suffering from a serious primary condition, treating it and managing its symptoms is paramount. Obtaining care from a chiropractic practitioner who understands the effects of medications and pain management drugs on chiropractic care is essential. Additionally, regular adjustments can keep the spine from becoming inflamed again, and can help prevent further outbreaks of acute transverse myelitis. All of the examples above have acute and long-term effects on the body. Not only can chiropractic help provide relief in the immediate for pain caused by inflammation, it may also be the best way to prevent long-term debilitation. Ideal Spine’s Chiropractic BioPhysics (CBP) methodology allows chiropractors to further their education and obtain a better understanding of comprehensive chiropractic care. 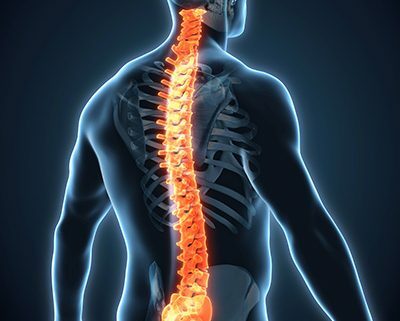 If a patient is suffering from any condition that involves the inflammation of the spinal column, they should immediately seek care from a professional who is able to provide them with the highest possible standard of care.